Hawksley Workman’s Winter Bird Tour kicked off in St. John’s this weekend and wraps nearly two months from now in Whitby, with stops in cities big and small across Canada. 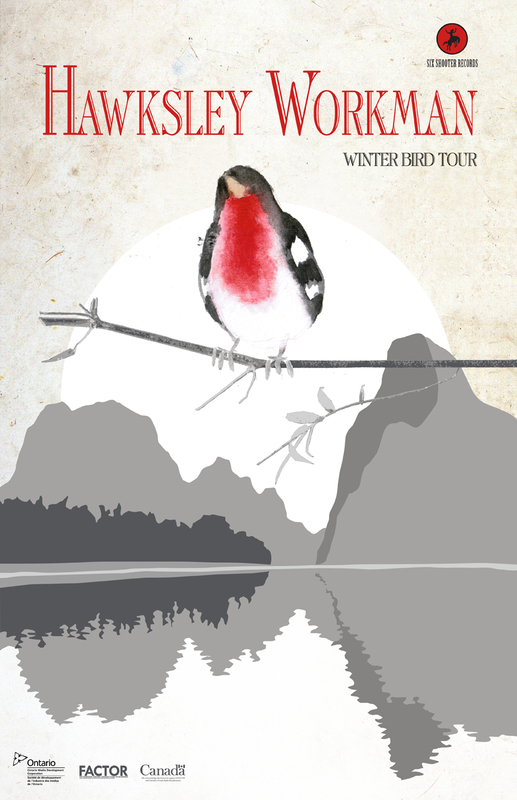 The Winter Bird Tour is the official Old Cheetah album release jaunt, and Hawksley will present new material with a backing band that his fans know well, including the one and only Mr. Lonely. 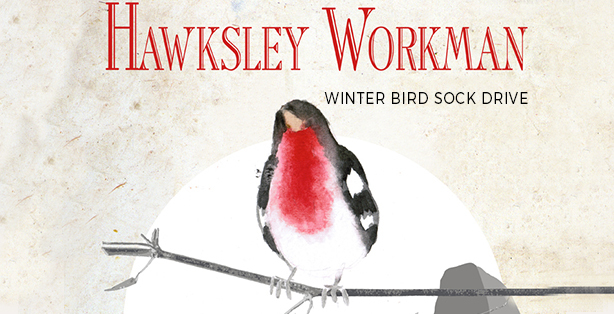 Throughout the Winter Bird Tour, Hawksley is seeking to collect donations of new warm socks for the winter. Socks are typically one of the most needed items on shelters’ lists. Fans are encouraged to bring socks to the show, drop them off at the merch table, and contribute to this simple and worthy humanitarian effort. The socks will be delivered to shelters and community organizations across Canada. http://hawksleyworkman.com/wp-content/uploads/2018/02/logo_menu-hawksley-menu.png 0 0 Admin http://hawksleyworkman.com/wp-content/uploads/2018/02/logo_menu-hawksley-menu.png Admin2015-10-04 19:18:242015-10-04 19:18:46Warm Toes, Warm Hearts. Tour Sock Drive.